1. I'm loving . . . that I got to go to another Traveling Table last week. The food was fantastic, the wine was great, and the company was unbeatable. Unfortunately, I didn't bring my camera in so I haven't blogged about it. 3. I'm loving. . . that this weekend is jam-packed full of Christmas activities. Friday night will be our 2nd annual Christmas Crafts & Pj's night. Saturday night we are having Scott's family's Christmas get together. Sunday we are going to my mom's and doing my family's Christmas party. 4. I'm loving . . . that our next Vegas trip is booked. I feel like it has been forever since we've been there even though we were just there in June. Now the countdown to March . . . I'm also loving . . . that a bunch of friends are going. We had a great time with the Hooper's when we went back in December 2010 to see Dave Matthews so I'm excited to be going with them and a few of our other friends, too. 5. I'm loving . 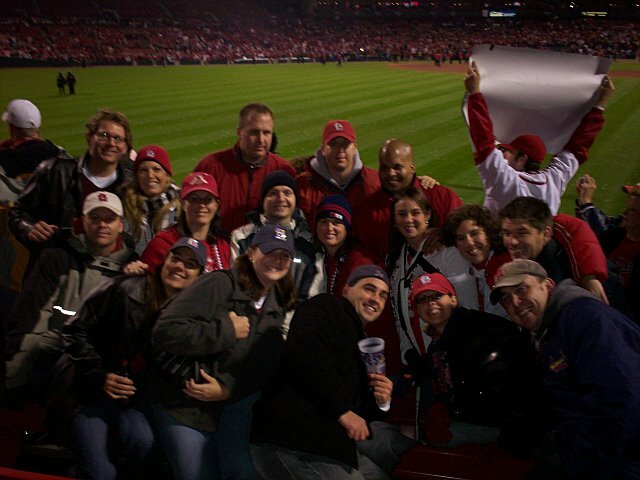 . . that I got to celebrate the St. Louis Cardinals winning the 2011 World Series by going to our Left Field Bleacher Post Season party this past week. We've sat by or around the same people since 2004 and have really grown to be close friends outside of baseball with them. Many of them from in this picture from winning the World Series in 2006 were at the party Saturday night. 6. I'm loving . . . that the St. Louis Blues are on fire. Since Ken Hitchcock has taken over, the Blues are 9-2-3 and have an amazing tandem goalie team. My mind is already thinking Playoffs! 7. I'm loving . . . that I found 5 super cute stockings for next year that have each of our initials embroidered on them. They were at Kohls on sale for $6/each. Normally, they were $14.99. Looks like red will be our theme next year. 8. I'm loving . . . that Kanin has been learning Christmas songs at school. He is really in to "The 12 Days of Christmas" and "We Wish You a Merry Christmas." 9. I'm loving . . . that I have started on my year end post that looks back over the things that have happened in 2011. 10. I'm loving . . . that we are going to see Santa Claus tonight. I've heard so many people rave about Santa Claus at Bass Pro that I think we are going to give it a try. What are you loving today? Head over to Jamie's blog and share with everyone. 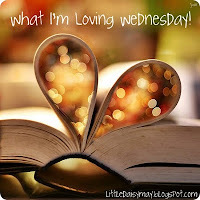 Lots of great loves this week! Super cute stockings and awesome that you got such a great deal on them! You have such a great list of things you are loving today :) Those stockings are amazing! lots of great things to love! 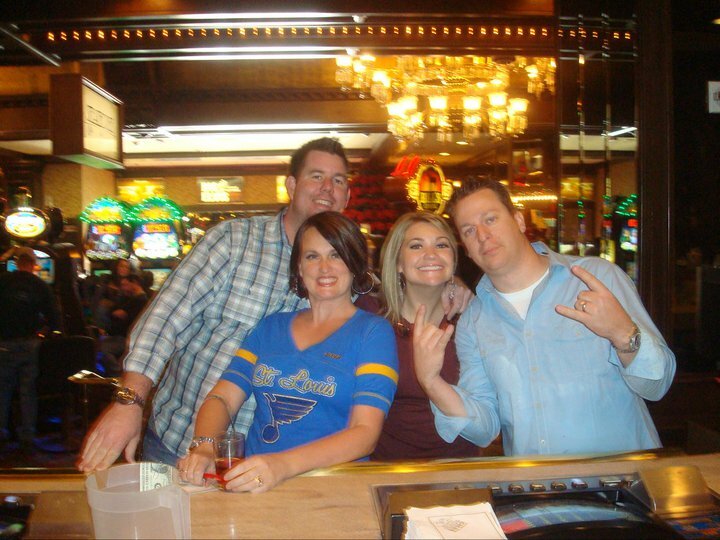 Have fun with your friends in Vegas!